Tonight's mani was a bit rushed like most things in my life at the moment. I just don't seem to have enough hours in the day! 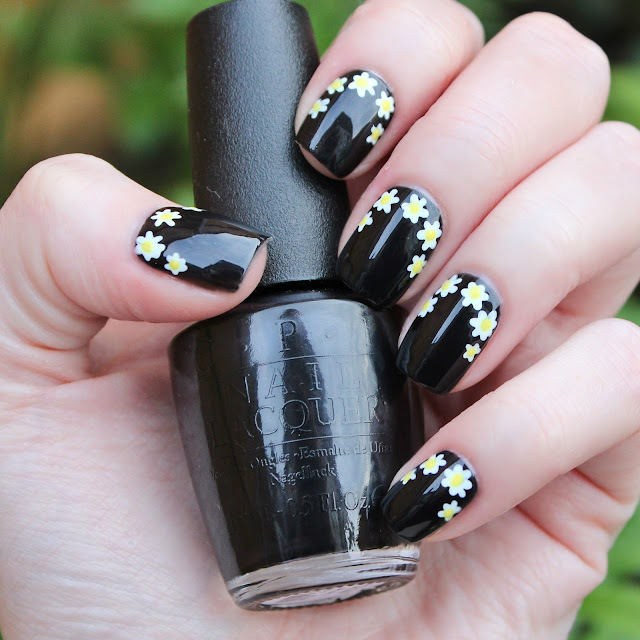 I forgot that it was my turn to do a design but luckily I was wearing OPIs My Gondola Or Yours* at work today so quickly drew on some daisies when I got home. 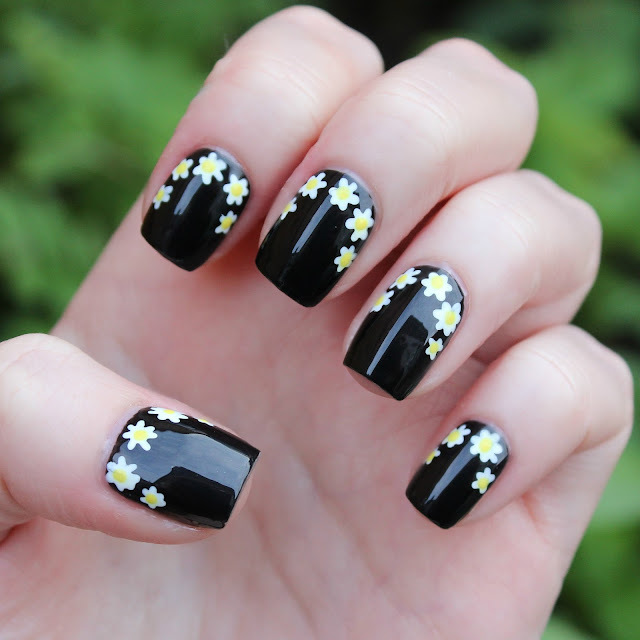 I knew that Jo had already done a black daisy mani here so tried to switch it up a bit by doing little daisies along my cuticle line. Considering this was whipped up in about five minutes I'm quite happy with how it turned out. 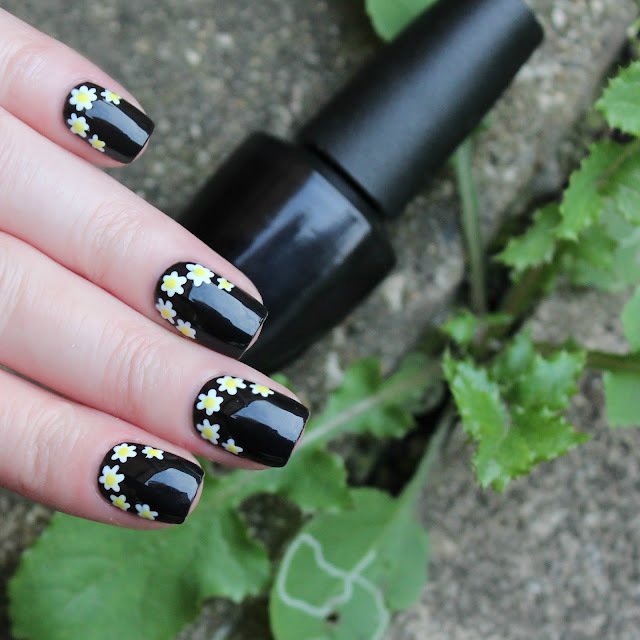 I used a white nail art pen to draw on the daisies and then a yellow polish and a dotting tool for the bits in the middle. Cute little nails for a mellow Sunday evening!